The Library is a privately endowed facility, a not-for-profit institution. 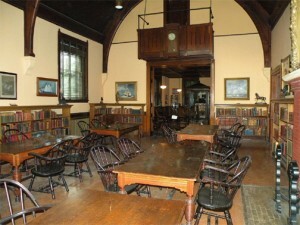 The library is governed by a Board of Trustees, and is entirely volunteer run. The Huntington Free Library and Reading Room has two separate non-circulating book collections: a general Reading Room collection and a specialization in Bronx history.